Duke's Black Walnut Cracker. Best Selling Lever action Black Walnut Cracker on the market for the price and value. Cracks even the toughest Black Walnuts. Easy to use operations. This would make a great gift for the hoildays . Shipped in Factory Box. Duke's lever action walnut cracker is designed to easily crack all hard, medium, and soft shell nuts. 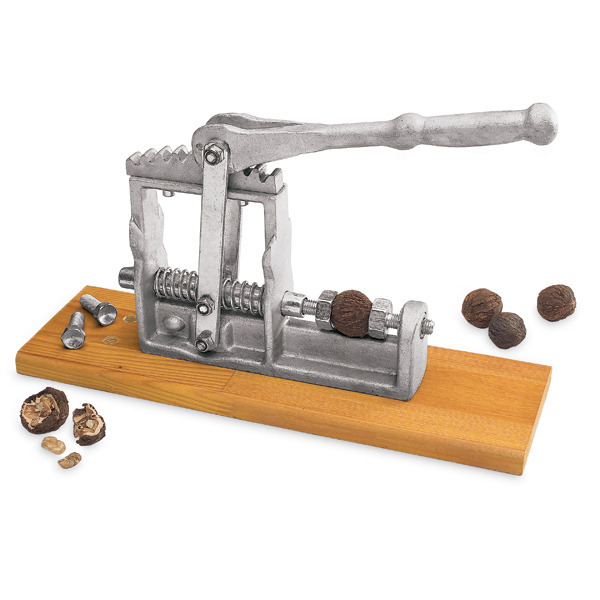 Specifically intended to crack Black Walnuts, Hickory Nuts, Butternuts, and Macadamia Nuts. Works well with Pecans and English Walnuts. Duke's Lever action walnut cracker is made with a cast aluminum frame. Working parts are hardened machine tool steel with a gear lever design.